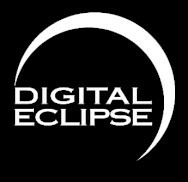 Digital Eclipse is an American video game developer based in Emeryville, California. Founded by Andrew Ayre in 1992, the company found success developing commercial emulations of arcade games for Game Boy Color. In 2003, the company merged with ImaginEngine and created Backbone Entertainment. A group of Digital Eclipse employees split off from Backbone to form Other Ocean Interactive, which, in 2015, bought and revived the Digital Eclipse brand. Among its staff is video game preservation specialist Frank Cifaldi.